The Leafs young star Auston Matthews is closer to returning to the lineup and has practiced with the team in a no contact jersey. Team management has indicated there is no definite timeline to have Matthews back in the lineup but there are indications that things have progressed well with recovery. 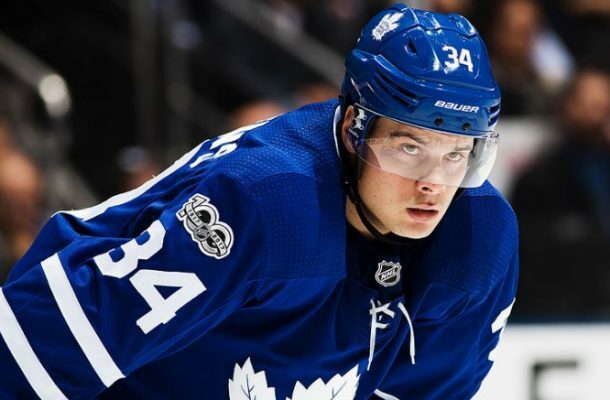 Matthews suffered a shoulder injury against the Winnipeg Jets four weeks ago and at that time, the Leafs had announced that the superstar sniper would be on the injured reserve for approximately four weeks. With the leafs in Columbus for a game on Monday, November 19 and Matthews participated in his first full practice since he was hurt. Tuesday is a travel day as the Leafs are scheduled to play the Hurricanes on Wednesday and the next scheduled practice is on Thursday in Columbus. It is unlikely that Matthews will appear in either of those games or in Saturday’s game against the Philadelphia Flyers. Even in Matthews absence, the Maple Leafs have won six out of the nine games that he has missed, including sweeping all three games in their latest west coast roadtrip. The Leafs are in action Monday night against the Blue Jackets.